There is no need to reach Florence by car. 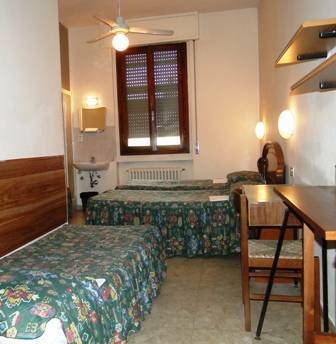 The Ottaviani Pension is 5 minutes walk from the train station Santa Maria Novella. 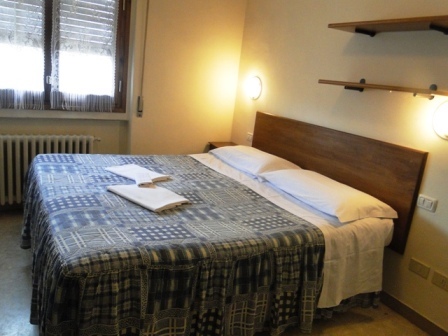 The location is excellent: in 5 minutes you walk to the major attractions of the old town: the cathedral with the dome by Brunelleschi and Giotto's bell tower, the Ponte Vecchio, the Uffizi Gallery, the Medici Chapels and the Basilica San Lorenzo. The Hotel is an economic category but has 20 spacious rooms, most with en suite shower room and bathroom on the floor, some with private bathrooms, some with a balcony on a very silent courtyard. And 'comfortable even for those who travel with lots of luggage or have difficulty walking: it has an elevator and has an elegant and spacious hall. There is a large breakfast room and a living space to watch TV or relax on comfortable chairs. Prices are extremely competitive. Breakfast is often included in the price and you can leave your luggage without paying additional charges. The reception is open 24 hours on 24 and our staff is available for advice on places to visit and good places to dine and enjoy an evening . 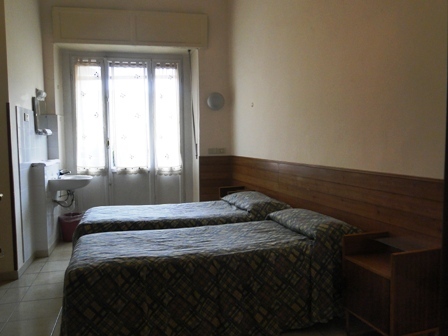 The rooms may have en suite shower room and shared bathroom floor. Some rooms overlook the courtyard and are very quiet. Two of them have a balcony! The rooms are all equipped with ceiling fan and sink. The laundry includes a person's face towel and a towel for the shower. Bathrooms have a shower floor. There is one bathroom for six people. If you arrive by train, head for the exit and cross over Central Railway Station Square to the Church of Santa Maria Novella. Revenue in Via degli Avelli along the square to the bottom of keeping you on the left and leaving behind the facade of the church. 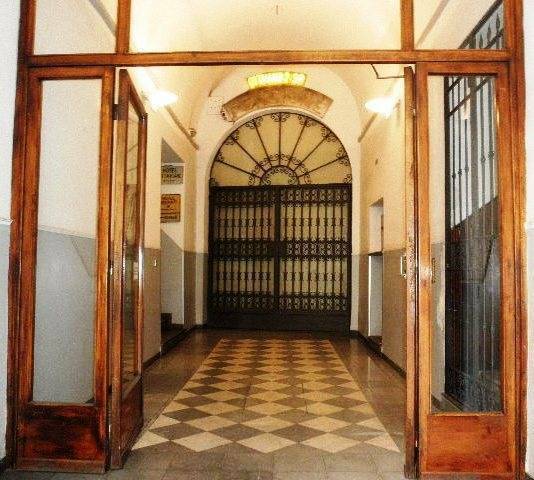 At the intersection of Via della Scala and Piazza del Sole Via Santa Maria Novella square starts of Ottaviani and our door is at number 1, next to a travel agency and a sports store. 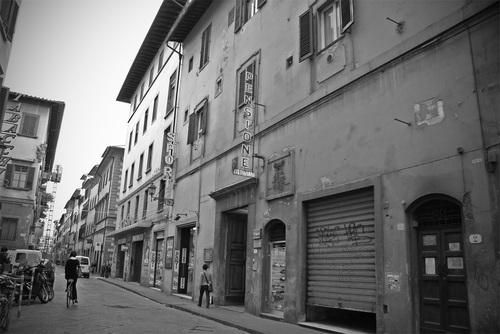 If you arrive by car, head towards the train station Santa Maria Novella and follow the signs from the highway. If you enter from Via Alamanni and continue straight until obliged to turn to the right in Via Santa Caterina da Siena. At the traffic lights turn left into Via della Scala and walk to the square, turn right and soon found a small square you reach Piazza degli Ottaviani. If you enter from Via Santa Caterina d'Alessandria and continue straight on Via Nazionale, Piazza della Stazione. Cross the square straight ahead and go to the bar Deanna opposite the police station. You are in Via Santa Caterina da Siena, from which you turn left into Via della Scala and turn right at the Piazza Santa Maria Novella: just found a small square you reach Piazza degli Ottaviani. the customer will pay the full amount of stay at the hotel, net of already paid through the portal, the day of arrival at the hotel.